After leaving my job at the end of August and traveling to Iceland and Edinburgh, I arrived in Cambridge on a sunny Friday one week before MBA Orientation began. With four suitcases in tow, I picked up my accommodation keys from my College’s friendly porters. Every MBA is a part of one of Cambridge’s 31 colleges, and I’m a member of Pembroke, an older college just down the road from Judge (which is very convenient for lunches). The porters are your first point of contact at any college – they sit in the Porters’ Lodge (“plodge”) and have been indescribably helpful with everything from getting my mail to buying a secondhand bicycle in my first few weeks of Cambridge life. Our two-week Orientation started on 19 September. All the MBAs who arrived early had already organised dinners, movie nights (I think a good percentage of us saw Bridget Jones’ Baby in the first week), and pub crawls, so it felt like I knew almost half the class in some way before we were officially welcomed by the director of the MBA, Jane Davies, at Peterhouse College on Day One. 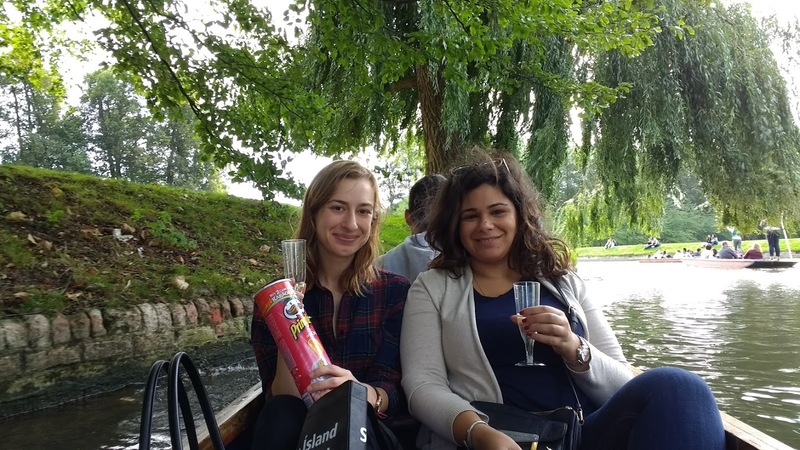 The two weeks were a whirlwind of introductory sessions and classes, workshops, networking drinks, and dinners – from a BBQ at Queens’ College with punts going by on the river, to smaller group formal dinners at different Cambridge Colleges. At Judge, we received sneak peeks at our Marketing, Strategy, and Operations classes slated for the next two terms, and we started diving into the core classes of this term (called “Michaelmas”): Management Praxis, Entrepreneurship, and Management Science. Outside of Judge, we have been basking in the whimsy of Cambridge – strolling alongside ancient College edifices, biking past cows in the meadows, punting on the River Cam (I tried it and didn’t fall in! ), and eating meals in candlelit, Hogwarts-esque dining halls. Orientation is now over; I’ve officially matriculated at Pembroke (which means signing a big book while wearing an academic gown), and I find myself in classes from 9am to 5:30pm every day, with networking, college events, readings, projects, and regular life managing to squeeze in between then and bedtime. Looking ahead to the rest of the term, I’ll be getting started on the Cambridge Venture Project with a local tech company, taking in more formal dinners at the colleges, and starting to put some of the early lessons of the MBA into practice alongside this very diverse, very clever, and very down-to-earth cohort.